Struck by the NFS bug? Here is how to uninstall ESXi 5.5 Update 1. There is a bug in the latest ESXi 5.5 release (Update 1 with or without the Heartbleed fix) that leads to intermittent disconnects of NFS datastores. If you are struck by this issue then you are probably already aware of that VMware has published KB2076392 for this and is "working towards providing a resolution". In the meantime the only workaround is to downgrade your hosts to ESXi 5.5 GA (without Update 1). But how do you do this without re-installing ESXi? 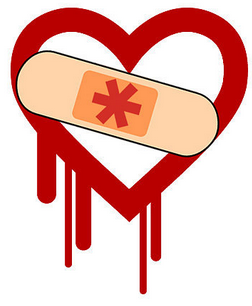 OpenSSL Heartbleed patches for ESXi 5.5 are available now! VMware has just released updates for ESXi 5.5 that address the OpenSSL Heartbleed vulnerability by updating OpenSSL to the latest version 1.0.1g (Please note: Older versions of ESXi are not vulnerable, because they use OpenSSL versions <1.0.0). Unless you live behind a rock you have most probably already heard about a vulnerability in the OpenSSL software that was dubbed Heartbleed. A lot of VMware products make use of OpenSSL to enable SSL secured web access, and a lot of them use versions that are vulnerable. VMware has reacted to this by publishing a list of vulnerable products and announced appropriate patches to be released very soon. ESXi is also affected. A general recommendation of VMware is to not expose the management interface of your hosts directly to the Internet, but there are situations where you cannot really avoid that or just do not want to sacrifice the convenience to have your hosts manageable from (theoretically) everywhere. If you have ESXi hosts directly connected to the Internet and can not or do not want to wait for a patch to be released (or just do not want to spoil your easter weekend with patching hosts) then you should think about other means to mitigate the issue. A while ago I blogged about the VMware Tools for Windows MSI package, what hidden components it includes, and how you can take complete control over the installation or upgrade process by using appropriate msiexec command lines. The following question was raised in this context: How do you modify an existing installation of VMware Tools (i.e. add or remove components) without re-installing or updating to a new version? Almost a Top 50 vBlog and vExpert again! Last week Eric Siebert announced the results of this year's Top Virtualization Blog voting. I am very happy that I could make a huge jump up in the list, climbing 90 places to rank #53. Many thanks to everyone who voted for me! 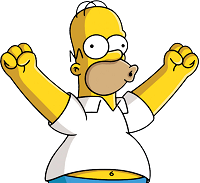 And today VMware announced the first list of vExpert 2014 awardees. I say the first, because there were substantial changes to the process this year resulting in quarterly nominations. So if you have missed to apply in February or were not accepted then you will get a new chance soon. Anyway, after 2012 and 2013 I was awarded vExpert the third time in a row! Thanks to John Troyer, Corey Romero and all the other great guys caring about the VMware community! I am always very glad to see that the hard work that I put in my blog and the tools and resources that I provide get recognized by the community. This - and the fact that I just have fun doing it - are the best reasons to carry on.